Let's talk about shaving. Nowadays there are so many possibilities to get rid of unwanted hair: cold wax stripes, electric shavers, sugaring, laser hair removal, epilating,... However none of these methods could convince me so I sticked to the basics: a good old wet shaving. 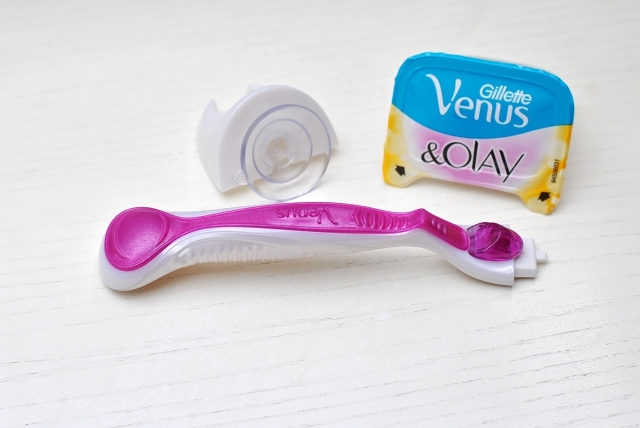 I've been having a Gillette Venus Vibrance for years and even though I knew that there were methods providing better results, I could always count on my razor for a quick, easy and cheap shaving. 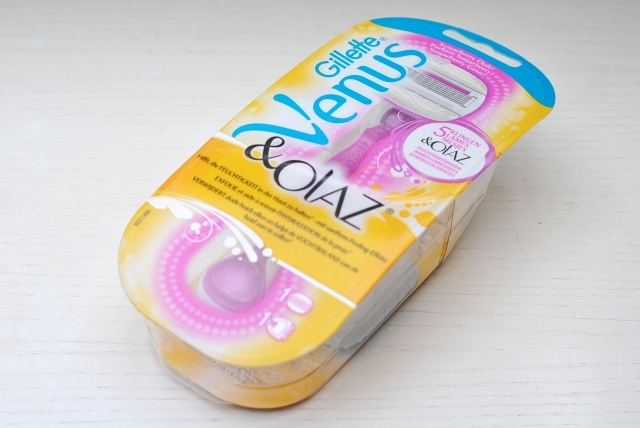 On occasion of the FashionBloggerCafé last month I was however introduced to the new Gillette Venus & Olaz. Venus offered to send out a free sample to me so I could try it and write about it if I wanted to. I already knew that I wanted to write about the razor before I got it but now that I tried it I knew I had to write about! 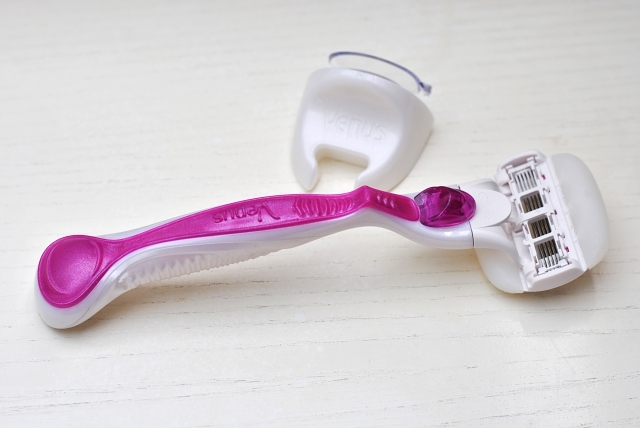 About the razor: The Gillette Venus & Olaz comes with a razor blade and a suspension hook. The blades have special Olaz shaving gel cushions which are supposed to replace any shaving gel. They have a sweet sugarberry smell and apparently help to moisturize your skin. Being a 5 blade razor the Venus & Olaz claims to not only shave your skin but also to remove dead skin cells. My experiences: I must admit that I was 99% sure that the gel cushions wouldn't work and that my skin would end up being all irritated (because that's what normally happens when I use regular razors without a shaving gel). However the cushions immediately covered my skin in this creamy Olaz gel and in combination with the 5 blades this gave me the softest shaving ever! I could even shave more sensitive areas without ending up with a skin irritation and also my legs didn't require any further moisturizing after the shower. 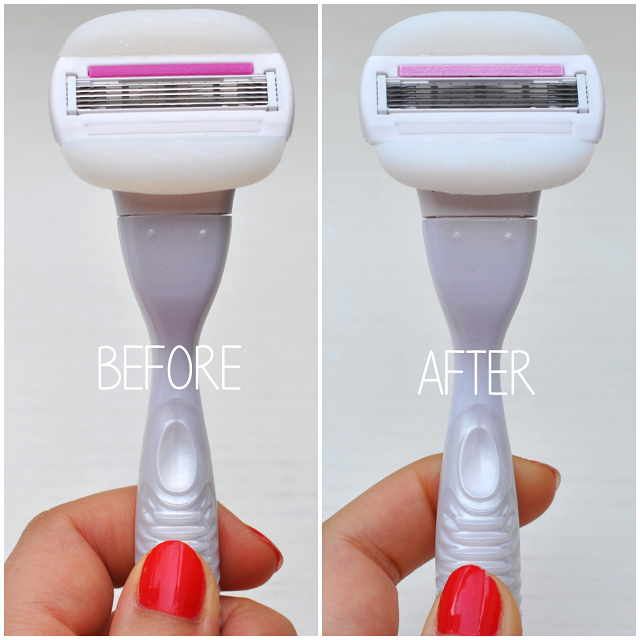 So as you can imagine these blades are just perfect for sensitive skin! The negative part about all this sensitiveness is that my shaving result wasn't quite as neat as usually (i.e. with the Venus Vibrance 3 blade razor). To buy or not to buy? Above you can see the fading of the gel cushions after a single use. It certainly isn't much but I'm honestly wondering how long you'll be able to use the blades. And that's where we've arrived at the matter of expense. The razor costs 12,99€ and 3 blades are sold for 16,99€. If you already own a Venus razor you don't need to buy this new adapter as all Venus blades can be combined with all Venus razors. However 5,66€ for a single blade?! Dammit that's a lot of money! I guess that buying cheaper blades (like the regular Venus ones which are about 2,60€ per blade) and a shaving gel from your local drug store will lead you to the same shaving result for considerably less money. 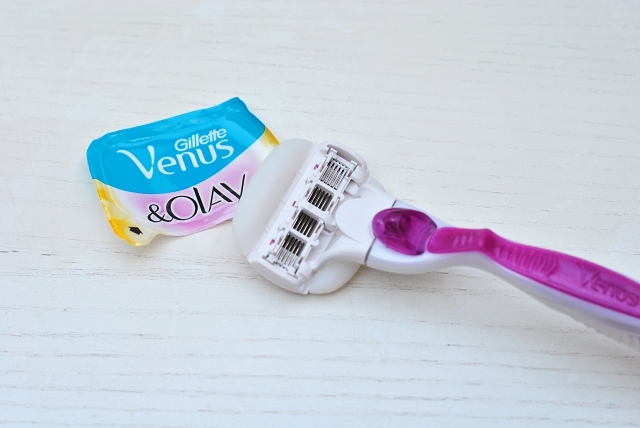 (Compare all Venus razors and blades here.) Of course I won't deny that it's handy to have these two in one blades, especially as they work so well, but then again 5,66€ for a single blade?! If you're still interested in buying the blades and want to know how many shavings they endure you should check back for my next empties post at the end of the month where I will give a final conclusion about the Venus & Olaz blades. Which hair removal methods do you use and which are your favourite shaving products? ja najbardziej lubię maszynki przeznaczone dla mężczyzn, tak samo jest z żelami, według mnie są znacznie lepszej jakości i tańsze. 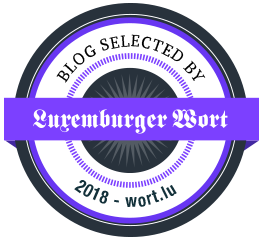 einen schönen blog hast du hier! deine Lara liebt.